We provide parking validation, please ask host for details. Grand Opening HAPPY HOUR ALL DAY on most menu items! 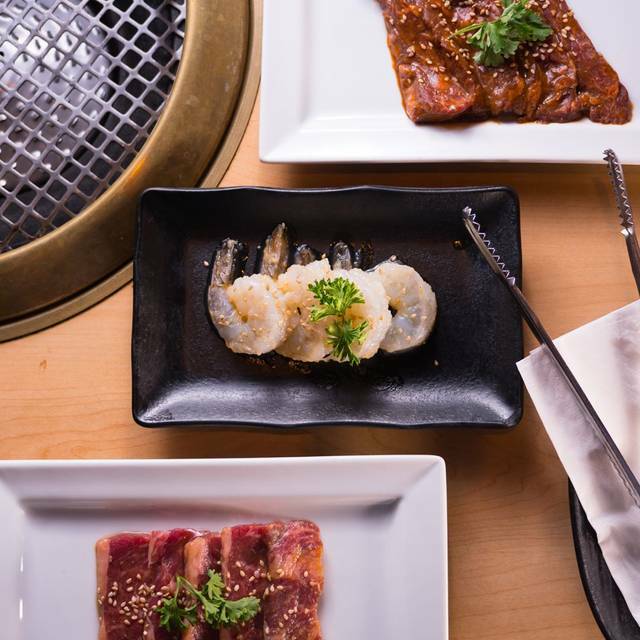 Whether celebrating a special occasion with family and friends or hosting a corporate outing, Gyu-Kaku - Cambridge can accommodate all your special event needs. 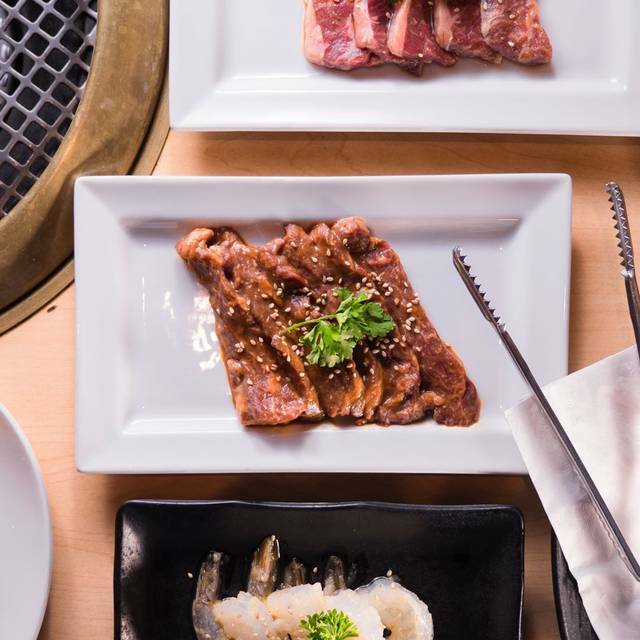 Gyu-Kaku Japanese BBQ in Harvard Square is the ideal spot for an amazing experience in Boston! 4 pcs of flavorful spicy tuna on crispy fried rice! All foiled vegetables for steaming contains butter sauce. +€2 Great with Cheese Fondue! Everything was good. But it hard to find parking. Delicious and awesome service. Set meals have generous portions. Only thing I didn’t like was the salad, but everything else was amazing. Servers were very accommodating and food came out very fast. We have been coming back here a number of times for brunch and dinner. 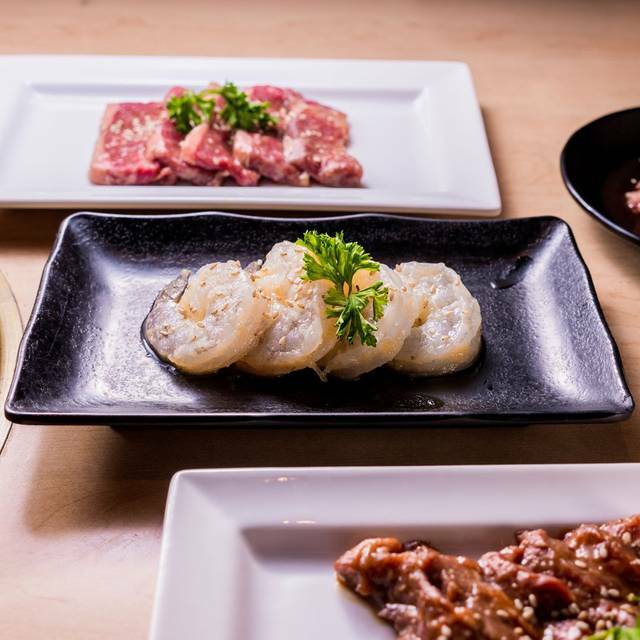 This time we tried seasonal menus, Flavors of Japan. We liked thick cut beef tongue, okonomiyaki, and motsu nabe. Buttered potatoes were not impressive because the potatoes did not taste like the ingredient from Hokkaido. Otherwise, it is fun to ear here. Food is great but from pricing perspective it is certainly not in the cheaper range. Waitress forgot one of our orders but in the end it was okay as we realised we didn't need it, place seems to be super busy and the noise level is somehow not a very comfortable level, there are lots of shouting around so I wouldn't recommend any friends with families or young kids to eat here but overall it is okay to us as it satisfied our cravings for the BBQ. This is the first time I go there. The food there tastes good and the overall service is good. The price is also reasonable. I would like to recommend to my friend. However, three of our four people,except me, felt a little uncomfortable the other day. I'm not sure whether it is because of the dinner but still have some doubts of the food freshness. Expierence was great! The waiter was nice but too quiet and we couldn’t hear him! Very exceptional restaurant, not for the plain diner but if you want some excitement then this is the right place. 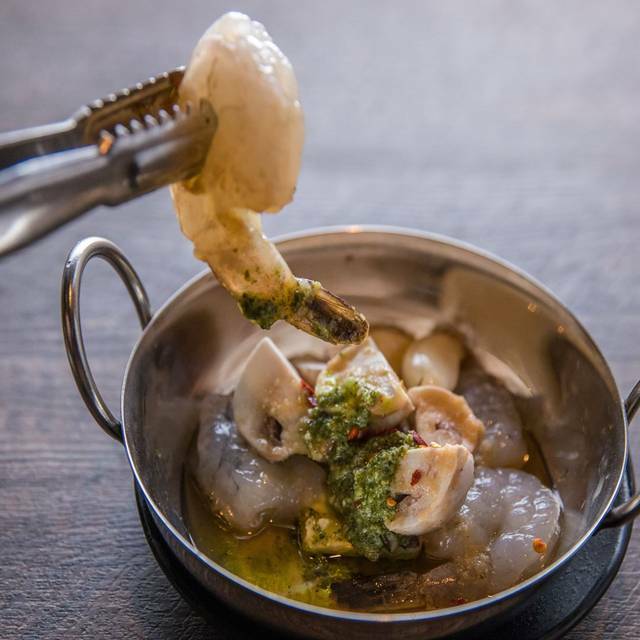 More than a great meal you cook with friends, it's a hands on experience that you will want to enjoy again and again. We appreciated the staff singing Happy Birthday and the complimentary dessert. 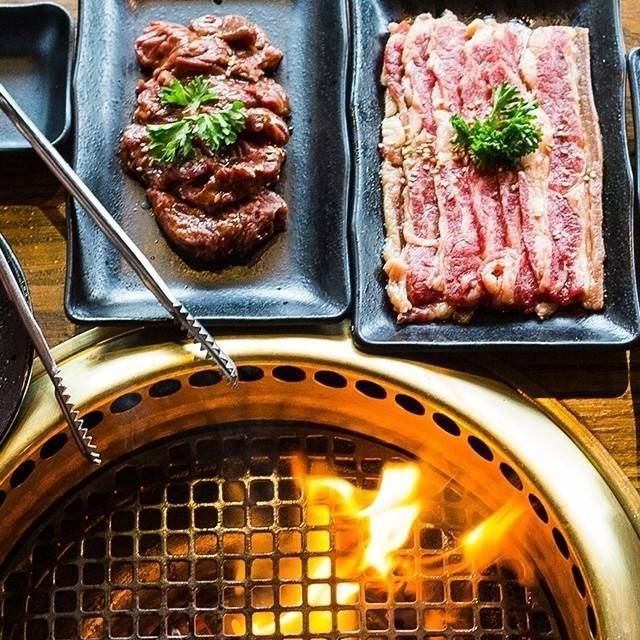 Definitely would recommend to any non-vegetarians to visit Gyu Kaku. 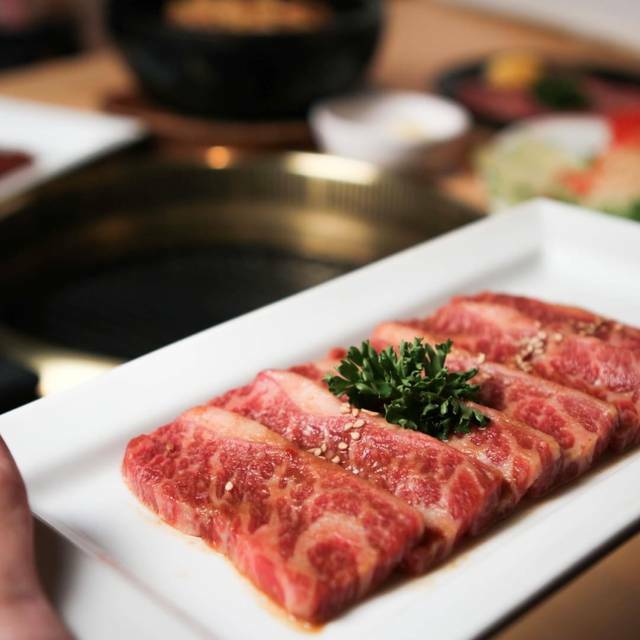 The food is always delicious and a reasonable cost (for Korean BBQ). I just felt like i was being a but rushed my the waitress. This was our first time at the Harvard Square Gyu-Kaku, having dined many times at the Brookline location. We were pleased with everything about our dining experience. We ordered the Premium All You Can Eat menu and found that it had a good variety of items in the categories of appetizers, meats, seafood, vegetables and side dishes - and 90 minutes to eat as much as you want. It is a good bargain for seniors (60+), especially on weeknights which have lower prices than weekends. Some of the items we enjoyed: seaweed salad, spicy addicting cucumber, fried pork dumplings, Bistro Hanger Steak Miso, Premium New York Steak Garlic, Kalbi Chuck Rib Tare Sweet Soy, Garlic Shoyu Ribeye, Toro Beef Tare Sweet Soy, Pork Belly Shio White Soy, Shrimp Garlic, BBQ Calamari Miso, broccoli, sweet onion, cheese fondue sauce (which we used for the broccoli), and of course, white rice. 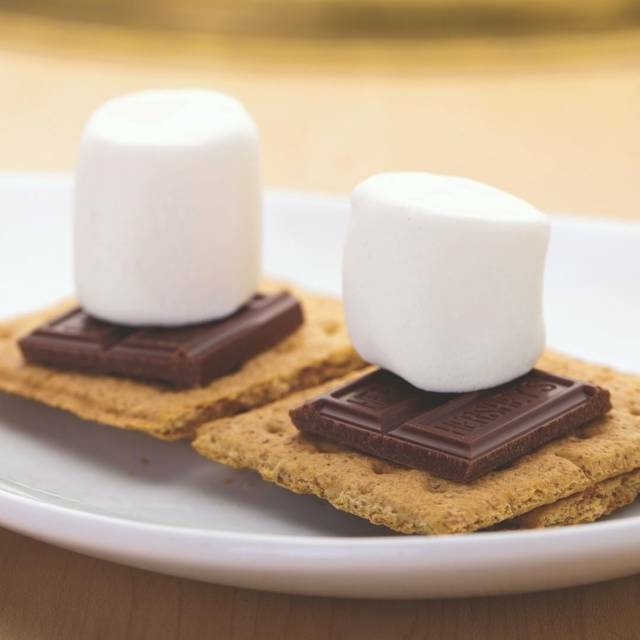 For dessert, the All You Can Eat menu offers vanilla ice cream and S'mores - one of our party had the S'mores. Another member of our party ordered a dessert from the special Flavors of Japan menu: Matcha Tiramisu, which was excellent for someone who loves matcha. One disappointment is that in the past the All You Can Eat menu offered a choice of vanilla or green tea ice cream (which had a delicious, rich matcha flavor) , but the green tea option has disappeared from the menu. I am hoping it gets put back on the menu the next time they revise the All You Can Eat menu items, as they do from time to time. Our waitress was terrible, and had no clue regarding the menu they offered!! Great place with great food! A group of nine of us went for my boyfriend's birthday and we had tons of fun!! Waiter was awesome. He was on point with everything. Can't complain. Food came out quick. It was very good! 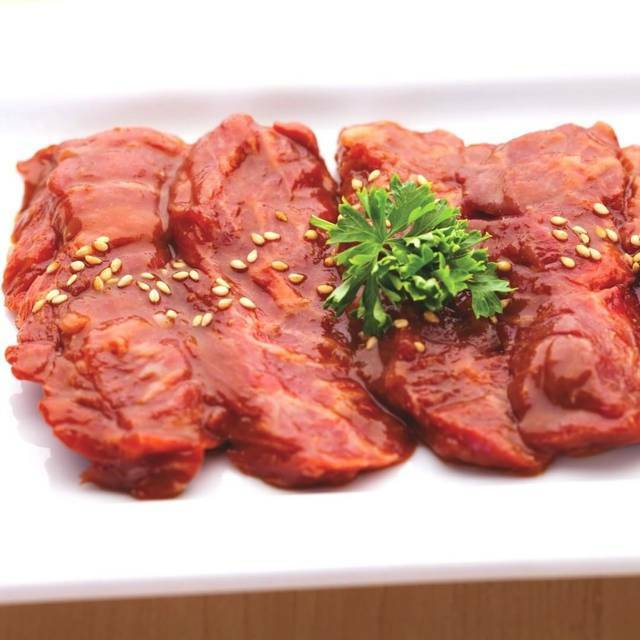 The quality of meat is good and the price is also nice. Great time, perfect for sharing. Had a very nice dinner. Service and food were quite good. It's a bit smoky and loud but still quite enjoyable. We've been here before but I feel like the quality has gone down a bit. Yes, the place was fun and the food was delicious. We had a wonderful server, although he did mix up our orders, he was nice and polite and made recommendations we liked. I would recommend the place to a friend. The Ms. M's Green Tea cake did not really live up to the hype and I certainly think that the restaurant got extremely smoky at different points in time. We enjoyed our meal and the food a lot! It was excellent, in the future since there is no parking around they should at least discounted the parking next door, so people can feel better while eating and not rushing. I made a reservation to eat there. It was a 1 hour drive to get to the place. When we got there the grill was not working due to a fire alarm earlier. The main attraction of the place was that you get to grill the stuff yourself. If it the grill was not working why bother eating there. At least tell your customers that made the reservation about this. 1 hour drive in only to be disappointed. We met up with some friends at Gyu-Kaku Cambridge, one of our favorite restaurants, and had a great time. They had never been there before so we were very excited to introduce them to the restaurant. Our server was wonderful, and the food was great. Two of us had Bibimbap and the others are vegetarians who enjoyed lots of vegetables and tofu. Our go to option with the kids in an environment that is social enough that nobody notices if your kids are talking loud or using chopsticks as drumsticks. Great food. Usually awesome service unless they are super busy. First time! I really enjoyed it. Even though we received our rice pretty late, overall, I would say this place is GREAT!!! The food was great, but the reservations were horrible. First time checking the place out. Was not disappointed. For the money we paid it was amazing, service was also great. Rude staff on Valentine's Day, limiting patrons to a maximum of 90 minutes to eat. Excessive smoke--manager stated their filters were being cleaned. Unacceptable, worse Valentine's Day ever poor service, poor facilities, rude and forgetful staff. Avoid for any type of romantic evening. Delicious food, Excellent service. We will definitely go back again. Great jobs!! Cambridge Location has way better service than Brookline. Downside is that they don’t have scissors for us to use. They claim they only have ONE which is odd. Overall very positive -- food is excellent -- the policy to wait for everyone to come before you sit down can be awkward if you are, for example, inviting a party of several people, say for your birthday.